Eye shadow palettes are literally coming out of every brand’s ears at the moment. There are a plethora to choose from, and it can be confusing. I’m here to break it down for you. As a makeup artist, I’m always keeping my eye out for good eyeshadow palettes for my kit. What I’m not looking for? Palettes that are filled with shimmer on top of frost, on top of sparkly shimmer eye shadows. Unfortunately, most of the eye palettes out now are just that. Women buy them, try to do a smoky eye with them, then don’t understand why all the colors have muddled together and smeared. It’s not because you don’t know how to put them on, it’s because they are ALL shimmer shadows, and blending them together is a recipe for disaster. I’ll be going over my top picks for eyeshadow palettes that contain all or mostly matte shadows. Matte eyeshadows are gorgeous. They pay off well and don’t smear the way shimmery shadows do. They also wear longer. This palette comes with 7 matte shadows and 7 shimmers and includes a double ended high quality brush. It’s a great starter kit for anyone new to the eyeshadow game, and it’s also fantastic for the makeup artist who is just tired of dragging 27 palettes around. It’s got all your neutral and dark basics in two different textures for mixing and matching. 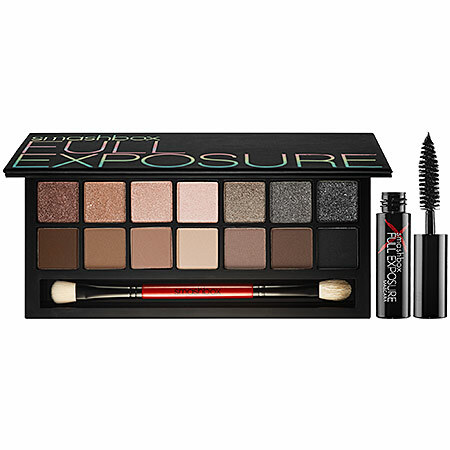 Plus, if you buy this at Sephora this cute kit comes with a deluxe sample size of Smashbox’s mascara. I actually just went ahead and purchased this one. It’s SO pretty! It comes in a small case that is easy to travel with or stash in your purse for those of you who get ready on the go. And how thoughtful was it of them to make the lighter “base” shadows bigger than the darker colors (since those are the first ones to go)? 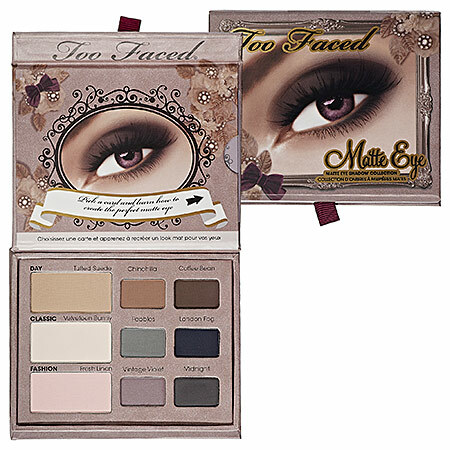 This palette has got something that will compliment any eye color. For Green or Hazel, use the pink, purple and grey. For Blue, use the cream and two browns. For Brown, use all of them (ha ha, we are lucky girls!) I can’t wait to leave all 18 of my eyeshadow palettes at home the next time I do a wedding. 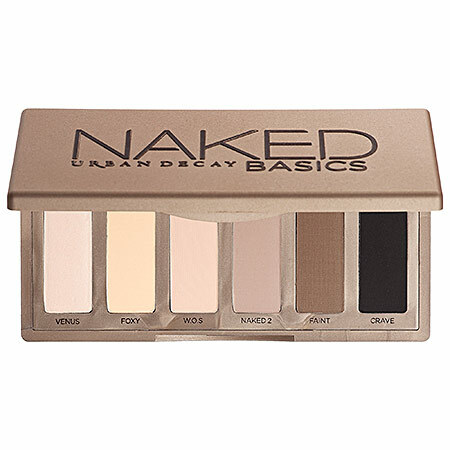 I’m bringing this and my Naked Basics, which you will see next. This compact is the smallest of the bunch but packs a big, matte punch. I personally use this palette daily. The color payoff is impressive and the these smooth shades go with just about everything. You can go from a neutral eye to a smoky one with these six colors. The only shimmer is the first one, Venus, which is beautiful in the corners of the eye or on the brow bone. These 10 wearable matte shades can be worn wet or dry. What’s more, it comes with an eight-page look book and a handy dandy black eyeliner pencil. This is a great option for those of you who have basic mattes, and want some more fun colors to add to your collection. I’m really digging the orange on the bottom left!